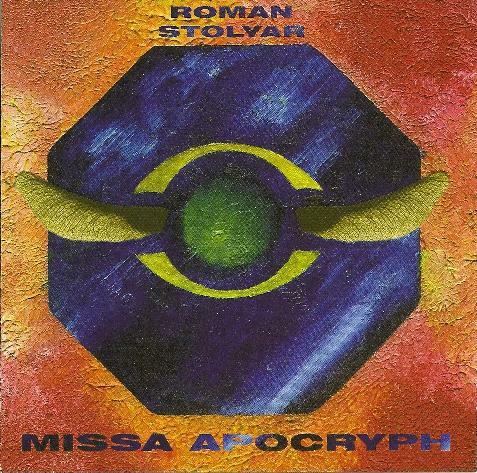 Roman Stolyar - "Missa Apocryph"
Missa Apocryph is Siberia based Russian composer and musician Roman Stolyar's second album for the Electroshock label. This is an intriguing set, both musically and thematically. The focus is Christianity, specifically the apocryphal writings of the Bible, which I understand to be distinguished from the canonical writings as being unofficial vs. official. The music was written for the Sharamov Vocal Ensemble, a quartet of 3 female and one male vocalist who Stolyar partners with throughout the album. Kyrie opens the set with an inspirational recorder melody, and when the keyboards kick in we're in full prog rock mode. The vocal ensemble sings in a high energy church choral chanting style. The pace rises and falls in true prog fashion, though the magnificent vocals make for a very interesting prog-operatic combination. Gloria blends world music and symphonic prog with hints of jazz. The vocal style is more song-oriented though the impact equals the power of Kyrie. Credo starts off with the choir front and center for the first 4 minutes, but when the heavy swirling prog keyboards crank up they are darkly orchestral and highly intense and the collaborative nature of the music and choir is most apparent here. Sanctus and Benedictus are the shortest tracks of the set but the most purely rocking. It's so cool and strange to hear the vocal ensemble doing these jam-like choir-chant vocals. And the rocking recorder solo in the middle of Benedictus is a nice touch. Agnus Dei wraps up the set and is somewhat in avant-prog territory, like Univers Zero with a real church choir. Stolyar is really on to something different here with his use of this vocal ensemble and their style of singing. I think he succeeds magnificently.